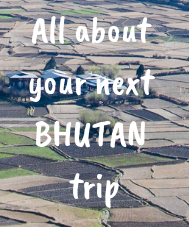 Located on the banks of two rivers: Pho Chhu (meaning father) and Mo Chhu (meaning mother), Punakha is a small but culturally very important city in central Bhutan and well connected by road. It is one such place where I would love to settle in and enjoy rest of my life in peace. Either you can hire a taxi from Thimpu or take 3 –hour bus morning from Thimpu bus stand. 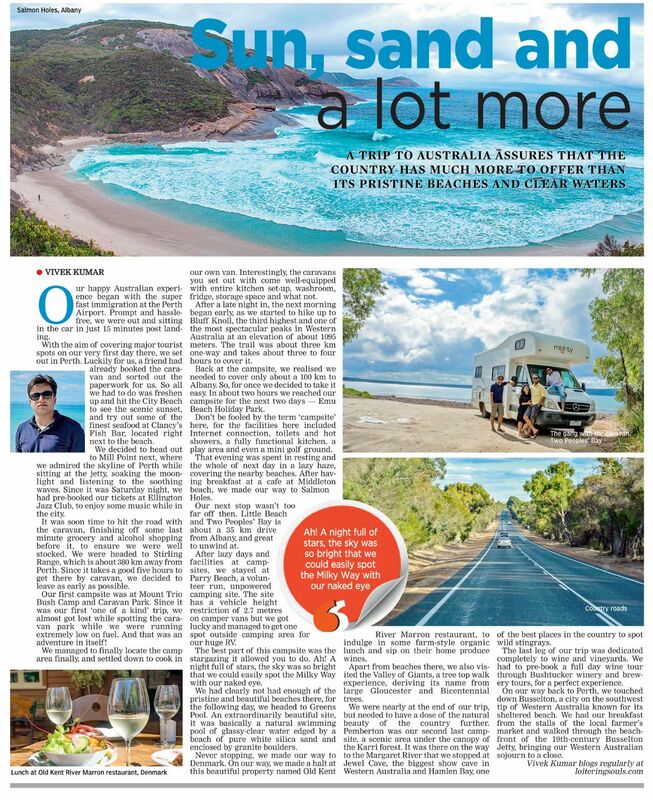 Taking taxi would be better option as the route is very beautiful and one can take any number of short and long breaks. Also the road from Thimpu to Punakha is being widened owing to which roads are blocked for some hours in the morning and evening. 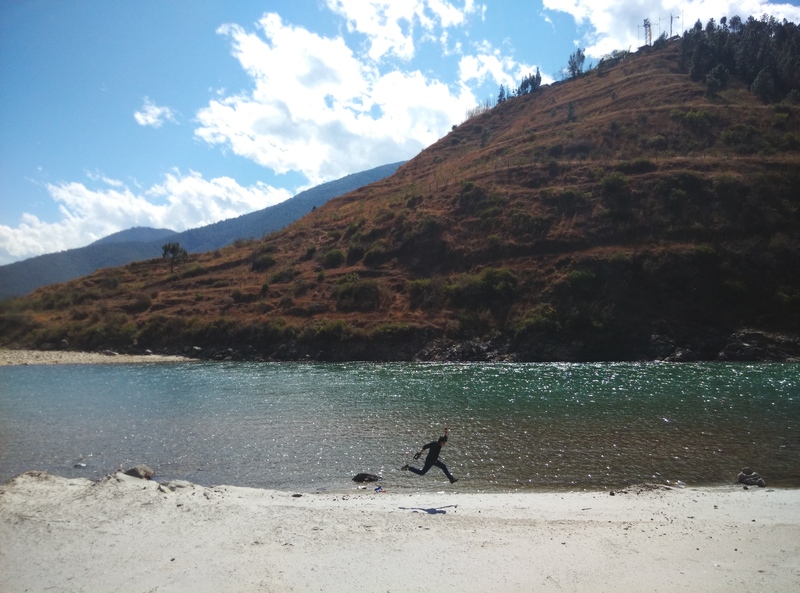 Once in Punakha, you have three options – return on the same day, stay at a costly river side resorts or stay in very cheap hotel and soak in the grandeur of the city. We chose the third option which helped us in normalizing the rather expensive Phobjikha leg of our trip. However we spend our evening sipping tea and snacking at the beautiful riverfront lawn of Dhamchen resort plus we got free wifi :). It is a must go place. It is the second oldest and most stunning dzong of Bhutan. It was the administrative center and the seat of the Government of Bhutan until 1955. It stands majestically at the confluence of the Pho Chhu and Mo Chhu rivers in the Punakha–Wangdue valley. Locals told me that during spring the dzong gets decorated with the lilac-coloured jacaranda trees that grow around it. I would love to visit it once during that time. Punakha is home to Bhutan’s longest suspension bridge which is close to 400m long. Do cross it. It is another dzong near Punakha (Lobesa to be precise) famous for phallus paintings. We were running short on time so skipped it. The city has few restaurants only which serves buffet meals mostly. Eat at Phuenzhi Diner restaurant for set Bhutanese meal. Try classical noodles, vegetables, rice at open buffet and ema datshi dishes.